The UASA objectives are to upgrade the legislative and regulatory level of Arab securities markets with a view to achieving fairness, efficiency and transparency. 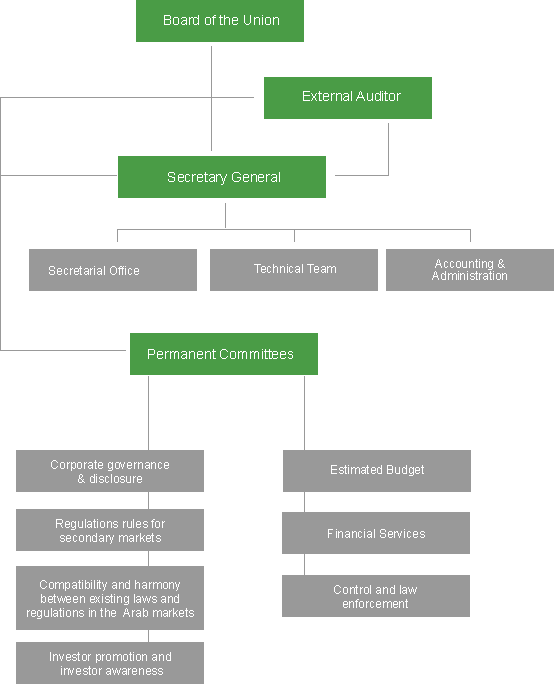 Unify efforts towards achieving effective levels of oversight over transactions in the Arab securities markets and to ensure coordination and cooperation among members to achieve maximum harmony and consistency with regard to relevant laws and regulations applicable in the Member States are main goals of the UASA. The Union aims also to overcome difficulties facing investment in the Arab securities markets, and to expand the investment base, diversify its tools and promote the culture of investing in the Arab securities markets. Promoting the concepts of disclosure, transparency and governance in addition to the application of the best international standards and practices are also important objectives of the UASA. Upgrading the legislative and regulatory level of the Arab capital markets with a view of achieving fairness, efficiency and transparency. Commitment to best standards of integrity, fairness, transparency and excellence. Unify efforts and cooperation toward achieving effective levels of oversight on transactions in the Arab capital markets, coordination and cooperation to achieve maximum harmony and consistency with regards to laws and regulations related to the Arab capital markets in order to protect investors and the development of legislation in accordance with the best international standards.